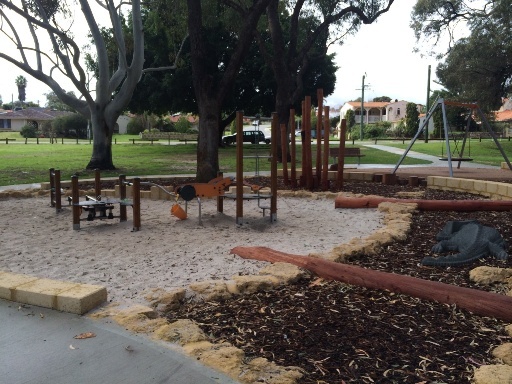 Mawson Park Hillarys playgound is located just minutes from Hillarys Boat Harbour, on Flinders Drive in Hillarys. This massive playground is set on rubber soft fall material and has something for kids of all ages. 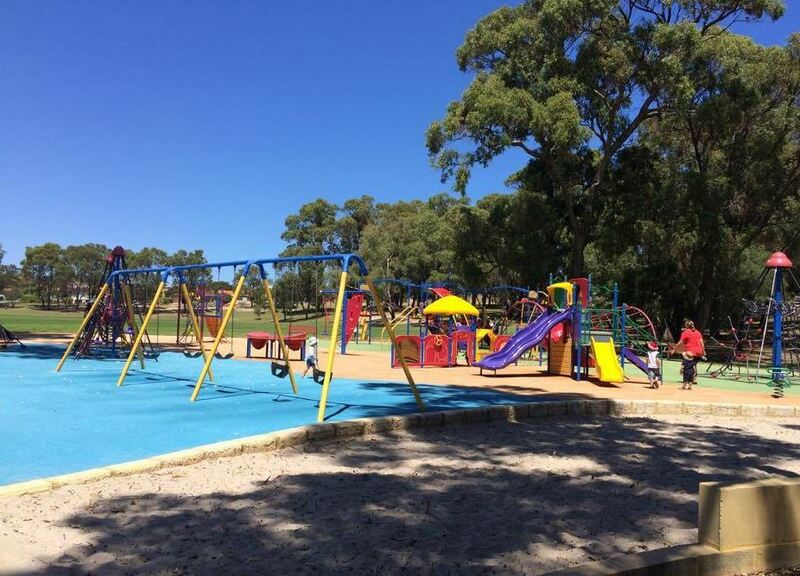 It's set right alongside a large football oval and among lots of tall trees, rolling grassy hills and a large lake, Mawson Park is a beautiful park for meeting family and friends or just for having a play. 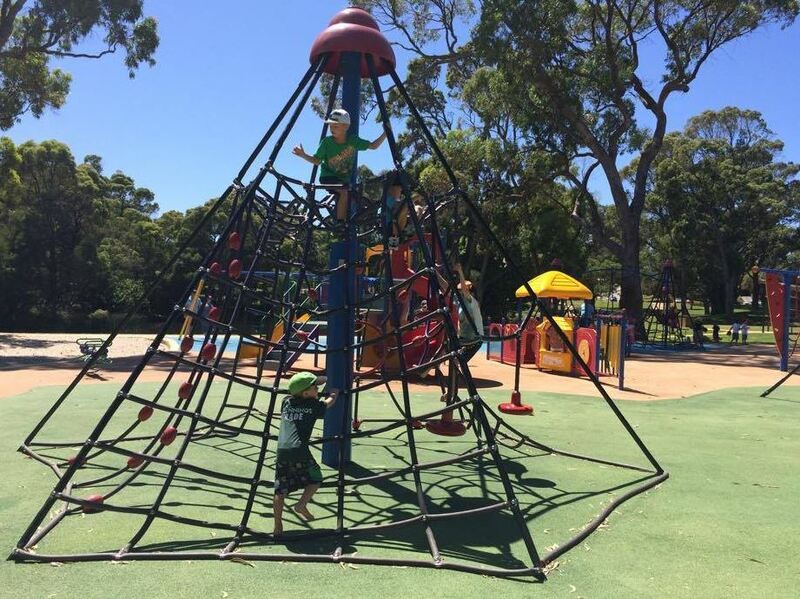 For the bigger kids there is lots of great climbing equipment which includes a tunnel web and rope climbing frame. And there's lots of grassed area if they want to kick a ball, fly a kite or throw a frisbee! And there's lots for the little ones too with musical instruments, smaller kids slides, and lots of other interactive play features. There is also a nature based playground on the other side of the lake - so take a walk, ride or scooter around the lake and check it out! 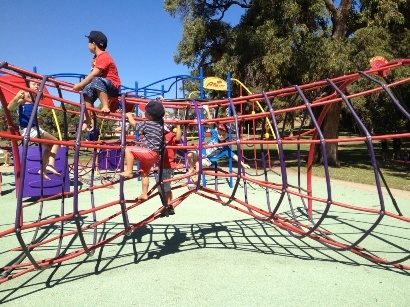 The playground at Mawson Park Hillarys is located all in one big circular area so it's easy to keep track of the kids. The large trees shade some of the playground but there is no man made shade over the playground and the soft fall and equipment can get very hot on warm days. There are pathways that go around the playground and through the park so bring the scooters and bikes along so the kids can have a ride. 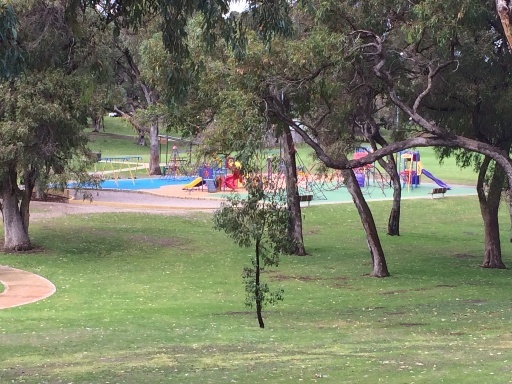 The toilets are also located fairly close to the playground approximately 50m across the oval. What to Bring - picnic lunch, football, soccerball, basketball (to use on the half court located on the other side of the lake across from the playground) frisbee, kites, bbq tools, sand pit toys (there's a small sand pit next to the playground). Small bikes and scooters for zooming around on the winding footpaths. 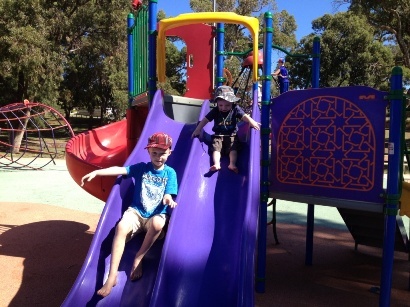 Safety Considerations - the playground is located in close proximity to a small lake so close supervision is required. 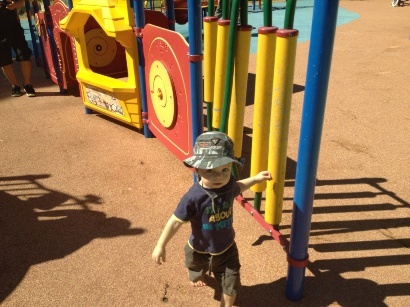 There is natural shade over most of the playground, but not the whole playground so be sure to bring hats and sunscreen. The soft fall can also get hot so you may need to keep shoes on. There have been some reports on our page about the ducks being aggresive at times. Ensure you do not feed them and keep food covered, out of sight and bags well sealed.